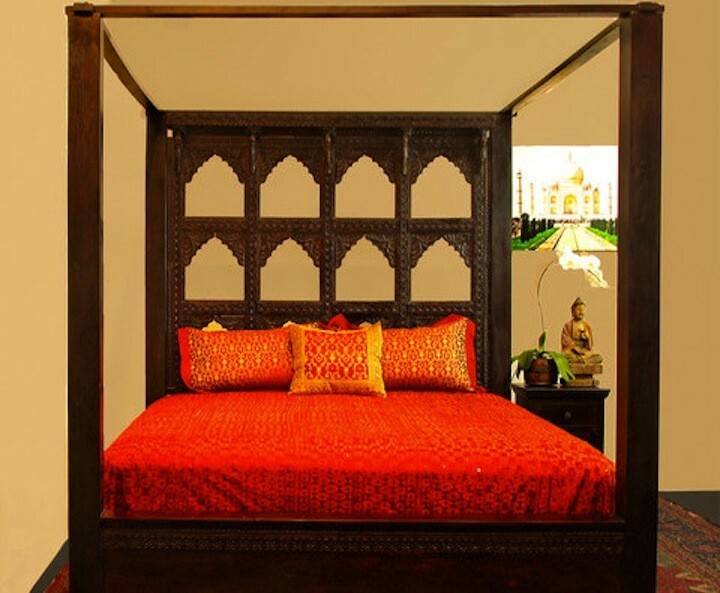 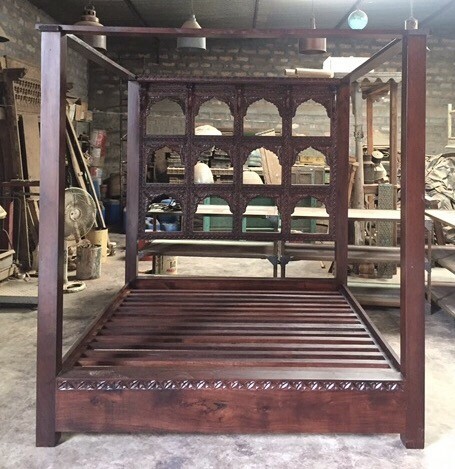 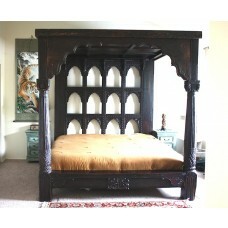 Inspired by the palatial arches of Gujerat, the Devi Canopy Bed has a carved 12 Arch headboard, smooth wooden pillars and connecting cross beams from which to drape fabrics.The carved panel at the top of the arches features delicately carved peacocks and a floral and geometric pattern. 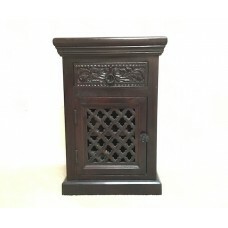 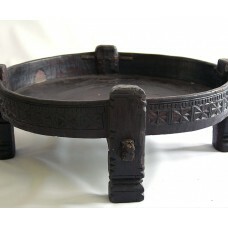 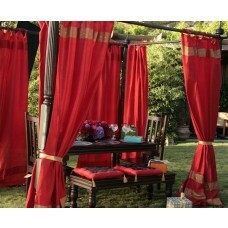 Crafted from solid Neem wood, of the Mahogany Family. 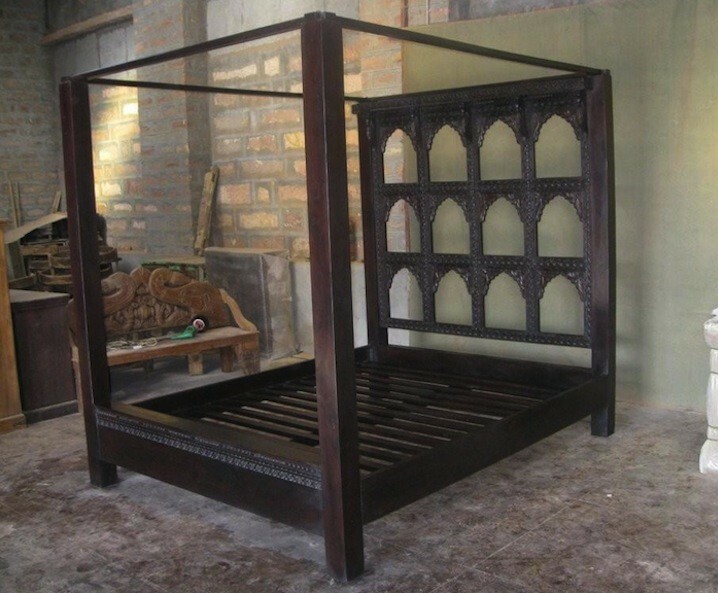 Neem is a natural pesticide and a dense hard wood, and is ideal for furniture production.